According to the World Wealth Report (WWR) 2012, released recently by Capgemini and its partner Royal Bank of Canada (RBC) Wealth, the number of high net worth individuals (HNWIs) has increased by 1.6% in Asia Pacific to reach 3.37 million in 2011. This is the 16th edition of WWR and the first time in its history that Asia Pacific has surpassed North America in terms of conglomeration of wealthy individuals. 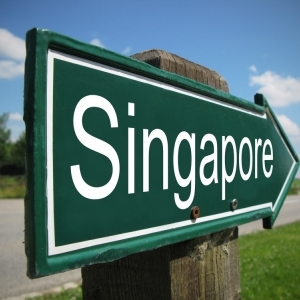 Singapore Company Registration specialist Rikvin esteems that this trend will persist as HNWIs in the region and beyond look East, and particularly to Singapore, for a more stable relocation alternative. Out of the total number of HNWIs in Asia Pacific, 54% are from Japan, while China and Australia contribute 17% and 5% respectively. Their total fortune is estimated to be US$10.7 trillion, a slight drop of 1.1% from US$10.8 trillion in 2010. HNWI refers to persons with at least US$1 million in investable assets, excluding primary residence, collectibles and consumer durables. Overall, Asia Pacific’s HNWI population expansion represented more than 11% of the total growth worldwide during the last two years. Even though India and Hong Kong registered significant declines in 2011, the region compensated via robust growth in the key markets of China, Japan, Thailand, Malaysia, and Indonesia. Moreover, Asia Pacific was home to 22,000 ultra-HNWIs (with at least US$30 million in individual assets excluding primary residence, collectibles, consumables and consumer durables) during 2011, representing about 0.6% of the HNWI population in the region. “Closer home, per a recent report by the Boston Consulting Group, Singapore is rated having the highest number of millionaires percentage-wise in the world last year, with over 188,000 or 17% of its total resident households. The number of millionaires has grown 14% since 2010,” noted Mr. Satish Bakhda, Head of Operations at Rikvin. Analysis by Rikvin shows that this wealth and employment opportunities for Singaporeans is set to grow even further as more and more investors and high-skilled professionals opt for Singapore permanent residency. “The city-state has an open door immigration policy to attract foreign talent, which is an invaluable asset to a competitive economy. That’s why Singapore has, amid a war for talent, made concerted efforts in courting and retaining foreign talent through various schemes,” added Mr. Bakhda. Particularly for HNWIs, there is the Global Investor Program (GIP), which aims to attract investors to incorporate a Singapore company or fund an existing one by providing them a green channel entry. To qualify, a foreign investor must possess a minimum of three-year entrepreneurial track record with the annual revenue of the company (real-estate or construction-related) being at least S$200 million in the most recent year and an average of S$200 million per year for the last three years. For other sectors, this amount is S$50 million. The GIP scheme offers two investment options including investing at least S$2.5 million in either a new business or expanding an existing business, or else investing at least S$2.5 million in a GIP-approved fund that in turn invests in Singapore-based companies. “The scheme has been very successful in attracting foreign entrepreneurs to Singapore, who also bring with them skilled foreign talent via the Singapore work visa. Their success stories generate a domino effect prompting other HNWI to relocate to the city-state, hence bolstering our economy,” concluded Mr. Bakhda.